Keeping your downloads organized and improving the speed at which you obtain the files from the Internet is an easy task for the latest download managers, like LeechGet. 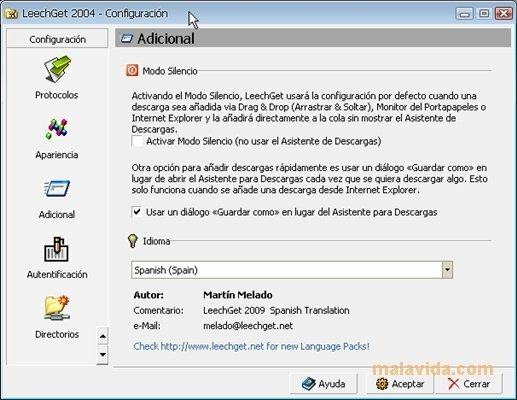 LeechGet is a modern download manager, that is very easy to use, and that integrates perfectly with your favorite web browser: Internet Explorer. This manager includes many advantages as opposed to the usual method to obtain files from the Internet, like for example, the possibility to resume downloads that have been interrupted or the option to automate downloads. - "Drag&Drop" method to start the download immediately. - Native support for Internet Explorer, and by using plug-ins also for Opera and Firefox. This application is free for non-commercial use.